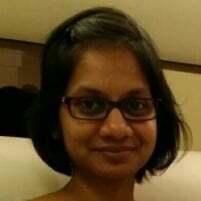 Kiru Samapathy is a Senior Consultant at ThoughtWorks and has over 9 years of technology consulting experience across Aerospace, Banking, Real Estate, and Telecommunication verticals. She has helped clients achieve tangible business outcomes through implementation of best practices in DevOps such as Automated Testing, Continuous Integration and IasS. Her core expertise includes Microservices, Continuous Delivery, and Cloud. She also has a keen interest in functional programming languages and in the ways these languages can solve complex problems with simpler solutions.